Gravity Rush Remastered is ranked in the 76th percentile of games scored on OpenCritic. Gravity Rush Remastered is a damn fine example of thinking outside of the box when it comes to traditional 3D platformers, and I'm super glad that both Sony and Bluepoint gave PS4 owners the ability to experience the game, if they were previously unable to. Nonetheless, Gravity Rush Remastered is an endearing piece of digital goodness that warrants your attention. You'll want to spend as much time as possible in Heskeville long after you're done with the main plot line. Sony might have laid it on a little thick with remasters to prop up a seemingly threadbare lineup of exclusives, but Gravity Rush on the PS4 is exemplary. There simply is no reason for you to miss out on it this time around. One of the best Vita games becomes one of Sony's best PlayStation 4 offerings. While its portable origins mean the game never truly pushes the console on a technical level, Bluepoint has refreshed and reworked the original Gravity Rush with the care it deserved for its debut in high definition. Man kann prinzipiell von Remakes und Remastered Versionen halten was man will, aber im Fall von Gravity Rush: Remastered lohnt sich ein Kauf auf jeden Fall. Wenn ihr den Titel bisher auf der Playstation Vita ausgelassen habt, solltet ihr den Titel auf jeden Fall nachholen. 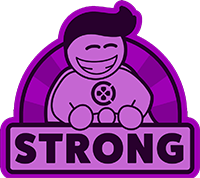 And thank God (or perhaps that should be "thank Kat", without getting too spoilery) that despite being a bomb on the PlayStation Vita, Sony saw enough strength in the material to give it another go. People, please, buy it. We need more of this kind of game, but publishers like Sony need revenue from them to make that happen. Gravity Rush is captivating early on and maintains that level of interest throughout. It's addictive, well-paced, fun as hell, and has a nice steampunk world with a great soundtrack. The remaster is good, although straight-forward, and at $30 it's a purchase well worth considering. 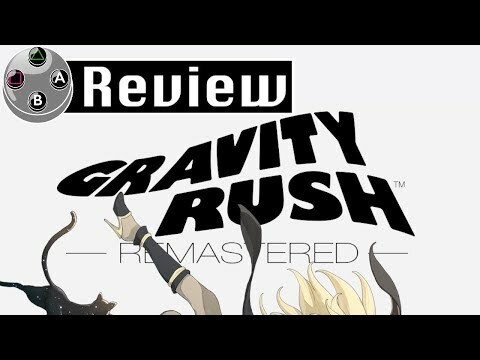 Gravity Rush Remastered is an excellent port of the original Vita exclusive to PS4, with unique gravity-shifting gameplay mechanics that lends to fun aerial exploration - all with a distinctive European comic book aesthetic. A unique game play experience at a more than fair price. The game runs at a smooth 60fps with no dips and features the same captivating story and gameplay that made the original release a suprise hit. Some people complain that the last thing we need these days are HD ports of "games gone by," as it were. However, Gravity Rush Remastered provides a hell of an argument that they're still worthwhile, especially if they're done the right way. This is an ideal way to become introduced in the series, and it'll get you excited for the sequel to come. No need to, ahem, flip out. Gravity Rush Remastered is close to perfect. Despite the issues I have with the story and combat, there's still something special about Gravity Rush. And it's a damn shame that more people haven't gotten the chance to experience this game before now, simply because it was a handheld exclusive. Gravity Rush Remastered attempts to update the 2012 portable original for a 2016 home console experience, and it's mostly successful in doing so. Though some elements feel like relics of its portable past, like comic-book-style cutscenes and a lack of voice acting, there's no denying it's still a hell of an aesthetic accomplishment. Yoshiaki Yamaguchi's gorgeous art style shines through in both the excellent character portraits and the city's uniquely colorful districts, and Kohei Tanaka's lively soundtrack evokes the same sort of childlike whimsy you might expect to find in a Ghibli film. The gameplay can be a bit disorienting with its whirling camera and shift-happy combat, but there's still nothing quite like the sense of freedom you get from soaring around Hekseville's bizarre monsters and creative locales — and it's a feeling of childlike joy that makes Kat's first adventure worth playing in spite of its flaws. Gravity Rush Remastered is about what you'd expect. The slicker visuals and boosted frame rate lead to an even cleaner and more satisfying experience, though its portable roots are glaringly obvious the more you play. If you've got a PS4 but not a Vita, you definitely owe it to yourself to give it a shot. Get ready for fast paced, gravity defying action! And a cat. Gravity Rush may have been the must-play game on PS Vita but, in coming to PS4 it is now one of the top titles on that system, as well. Each platform has its selection of games everyone needs to experience, and Gravity Rush Remastered is one of those. It doesn't last too long, but from start to finish this is a joyous romp, featuring a charming set of characters in a fascinating world, with fluid, mesmerising gravity-based gameplay that controls that much better on PS4. Packed-in DLC content and fun side missions with online leader boards add to the already excellent value, so make no mistake in picking this one up and preparing for Gravity Rush 2. With improved visuals, smoother performance, and all the previous DLC bundled in; it's safe to say that Gravity Rush Remastered is the definitive version to play for anyone who has yet to try it out. Gravity Rush Remastered is a very solid adventure game whose charm really comes from movement. It may take some getting used to before it becomes effortless, but taming your personal gravity field is one of the better experiences in a video game. While the title could use more variety as far as missions go, they still make good use of your powers, and the story that goes along with it is told well enough that you're motivated to see where it goes next. It does a good job of whetting people's appetites for the upcoming sequel, and those who want to experience something distinctive will have a good time with this title if they missed it the first time around. One of the best-loved games on PS Vita scrubs up well for the PS4, with an HD update that does justice to its vibrant anime steampunk style and fantastic art design. The Dual Shock 4 controls arguably improve on the original system, while the floating, rushing, Navi-bashing gameplay is undiminished by the move to the big screen. It's a little on the lightweight side but bolstered by the bundled DLC and budget price. Get it now, then get ready for the sequel. Despite some shortcomings, Gravity Rush still holds up well and is a great experience overall. The gravity manipulation mechanics are engaging, it's fun to explore every nook and cranny throughout Hekseville and the visuals have been enhanced to take full advantage of the PS4 hardware. If you haven't played Gravity Rush yet, now is the time to do so. Beneath the fluff and frustrations lies a truly unique game with a wondrous world and a central mechanic that can often cause moments of pure exhilaration. It's a fun, but deeply flawed experience. But that idea has so much potential, and when it's implemented eloquently I'm uplifted by it. When it gives you tasks that complement your powers, Gravity Rush transcends its mediocrity through the sheer power of flight. But then it tumbles back down into complacency, leaving me to wistfully pine for the skies again. It shouldn't be cutting corners, and it's silly that the four major zones are all still so faded, dull, and repetitious.